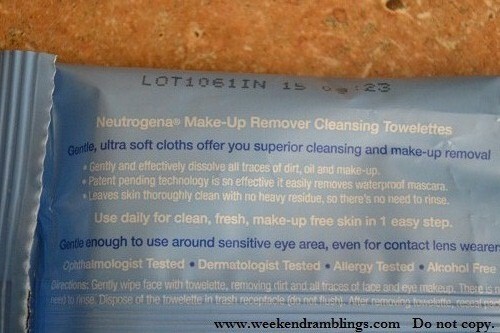 Makeup Remover Cleansing Towelettes erase 99.3% of your most stubborn makeup, even waterproof mascara, in one easy step. The gentle, ultra-soft cloths leave skin thoroughly clean with no traces of makeup, dirt, and oil—so there's no need to rinse! Use daily for clean, fresh, makeup-free skin. 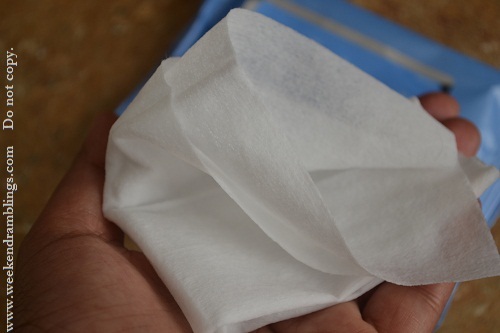 These soft white cleansing wipes have a nice smell and are sufficiently large (19 x 18.5 cm) and have a teeny bit of a stretch to them. 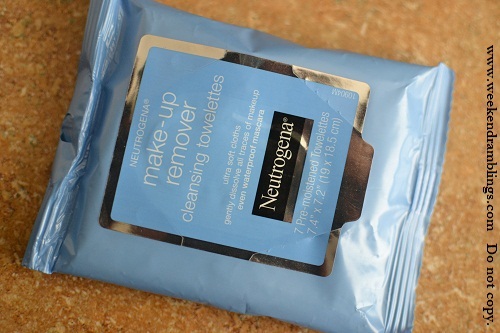 They are quite effective at taking off every bit of makeup from my face - I don't use waterproof mascara, so I am not very sure at how good these wipes are at removing that! I would never need more than one towelette, and I love the soft texture that doesn't irritate my skin. What I don't like, though, is the heavy film it leaves behind on my face. It looks greasy but it definitely does not seem like oil to me. Whatever it is, my Dove face wash finds it a bit difficult to wash off! 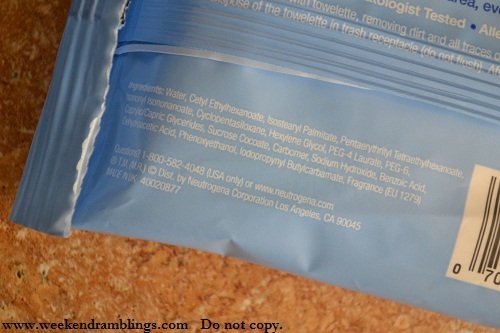 It has not caused any breakouts or irritated my skin in anyway, but the residue left behind means I absolutely have to wash my face after using these wipes (yes, yes, I am lazy - if I could I would go off to sleep right away). n u tried dat healthy skin foundation n its blusher??? ?